VIP benefits are one of the most important tools that casinos use to increase revenues and reward their loyal players, but how do the various VIP programs from across the world compare with each other? Here, we take a look at how the programs in Las Vegas, Atlantic City, Macau, and Monte Carlo size up. It remains arguably the most iconic gambling destination in the world. 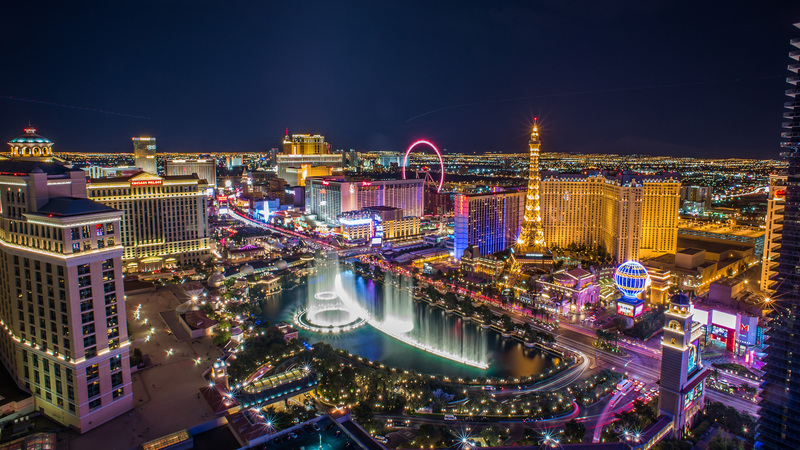 Living the luxurious lifestyle in Sin City has become synonymous with the gambling culture that the city boasts, and the VIP programs offered by casinos here are the stuff of legend. The most noticeable aspect of VIP programs in Las Vegas is the variety of schemes available. Total Rewards by Caesars Entertainment, M Life by MGM Resorts, and Bconnected by Boyd Gaming are just three of the main VIP reward schemes to choose from and those three alone cover such a wide range of casinos that are located on the strip, downtown, and away from the main tourist areas. Total Rewards is the VIP program you’re likely to encounter if you’re focused on the strip. Caesars Palace, Planet Hollywood, Las Vegas Harrah’s, Bally’s, Flamingo, Imperial Palace, and Paris are the venues that offer this scheme and players can earn comp points at all of these places and spend their reward points at all of these places too. They are all synced in to the scheme. It is also a very liberal scheme when it comes to offering complementary hotel stays to encourage people to visit Las Vegas to gamble. M Life is available at twelve casinos in Las Vegas, including some of the biggest name casinos such as MGM Grand, Mandalay Bay, Mirage, and Luxor. These are some of the highest quality resorts on the strip and so players know that any rewards they will earn through this scheme will be of the finest standard. Bconnected is more for the tourists that want to venture off the beaten track. Their casinos can be found off the strip and the advantage of this is that the downtown casinos offer better odds and this makes the VIP schemes more rewarding. Overall, Las Vegas VIP schemes are all about the versatility and flexibility. The presence of casinos on the strip, downtown, and situated elsewhere across the city ensure that players can find VIP benefits that suit their needs. You will not find such a wide spread of quality in casinos at any other city in the world. This gambling destination is often seen as the poorer sibling to Las Vegas. It had appeared to be experiencing a boom period, but recent years have seen a number of casinos including Trump Plaza, Revel Casino, and Showboat Casino close. It has also been reported that the city is on the verge of going broke as New Jersey politicians battle over a potential state takeover. The VIP programs are very much as the opinion of Atlantic City remains. Second class. They might have Total Rewards by Caesars Entertainment that allow players to earn points at numerous venues including Caesars, Harrah’s, and Bally’s but the choice pales in comparison to Las Vegas. Other casinos such as the Borgata have their own VIP benefits programs such as the MyBorgata iRewards scheme that offers more unique and individual offers but they lack the punch power of Sin City. The one main plus point for casinos in Atlantic City is that the New Jersey online gambling laws mean casinos can sync their land-based promotions and offers into the online offerings. This creates a wider scope for where players can earn and spend their points. That is perhaps the city’s saving grace. The Chinese enclave has become widely regarded as the most extravagant gambling destination in the world. Opulence and luxury are two words firmly associated with Macau casinos and the VIP programs offered by casinos here are no different. 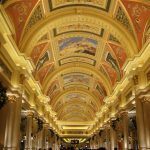 You only need to take a look at casinos such as Casino Lisboa, Sands Macao, MGM Macau, Wynn Macau, and The Venetian Macau to understand that casinos here present a level of extravagance that is matched in their VIP schemes. The VIP lounges are decadent to the highest level and every VIP player is treated like royalty. 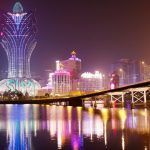 The only trouble for Macau is that the recent anti-corruption crackdown by the Chinese government has had a negative impact on the revenues generated by high rollers that used to populate the VIP schemes. 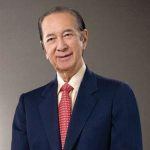 Nowadays, the high rollers are staying away from Macau due to the government crackdown focusing on funds that are transferred abroad. This includes Macau. Instead, the casinos in Macau are now turning to the “lower-end” players who have now become four times more profitable than the high rollers. VIP schemes are now targeting those players and whereas before it felt like the VIP programs were reserved for only the wealthiest individuals, they are now open to everyone. That is both a pro and a con for Macau. It makes the VIP programs a lot more accessible but it also takes away the prestigious edge that they once boasted. The playground for the rich and famous might not be a venue that your everyday gambler will visit and this is reflected in the VIP programs offered by the casinos. 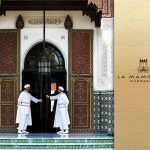 The M Life reward scheme is the biggest brand VIP program but there are a number of more unique schemes offered by casinos such as Cercle Club. As is the case with Atlantic City casinos, the Monte Carlo casinos offer products online and the casinos have seen the sense to sync their land-based promotions and offers with their online offerings. The only trouble is that these programs feel a bit elitist. They might put on this “open-to-all” front but in reality it appears that they only want the biggest whales visiting their tables. The programs are not terrible but they feel more like niche offers than beneficial ones. It really is hard to decide which destination offers the best VIP programs overall and the truth is that it is a matter of horses for courses with different schemes appealing to different people. However, it is hard to argue with the wide choice of schemes offered by casinos in Las Vegas. The casinos in the other destinations seem to share a target audience whereas Las Vegas has casinos dotted across the city with varying themes and with different demographics. Ultimately, players want the chance to choose a VIP scheme to their liking and Sin City gives them the best opportunity to do exactly that. Is Macau’s Gambling Industry in Danger?